You can cry out loud Habemus Papam if you are an iPhone user. 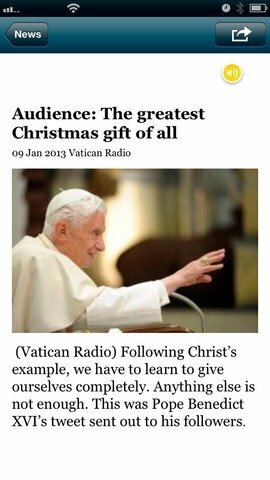 The fact is that The Pope App brings to your treasured Apple device all the latest news about the highest catholic leader on the Earth, always with God's permission. 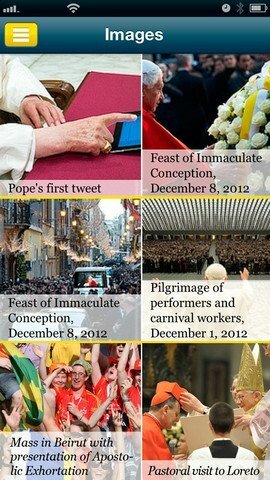 Who says that the Catholic church isn't becoming more modern? The Pope App is the application that all believers wanted so as to be up-to-date with all the news about the Supreme Pontiff. 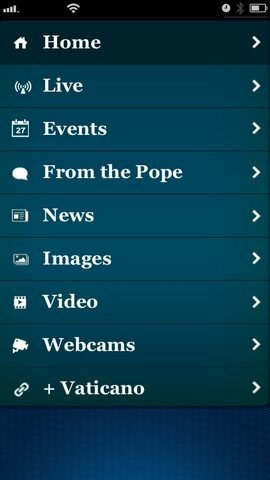 Following his activities live, configuring alerts or being aware of his public agenda are some of the possibilities offered by downloading the Pope's official application. Follow the Pope's live events. Configuration of alerts to follow the main events related with the Pope. Access to official contents such as news, speeches and photo and video galleries. 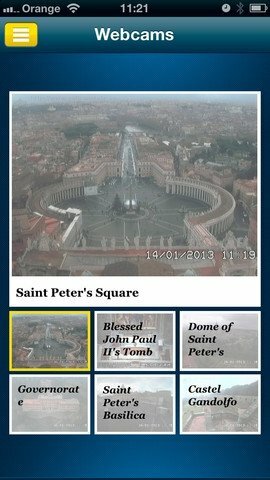 Access to webcams located in St. Peter's Square. Download The Pope App because if you are catholic you can't go another day without knowing all the details about the bishop of Rome's life.